2019 front wings - a first look?.. 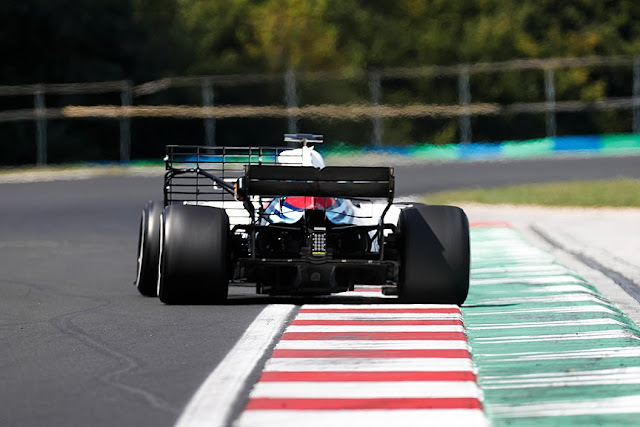 We still don't have a defined set of regulations out in the open for 2019, which is particularly frustrating given the changes that the FIA are set to impose for next season. 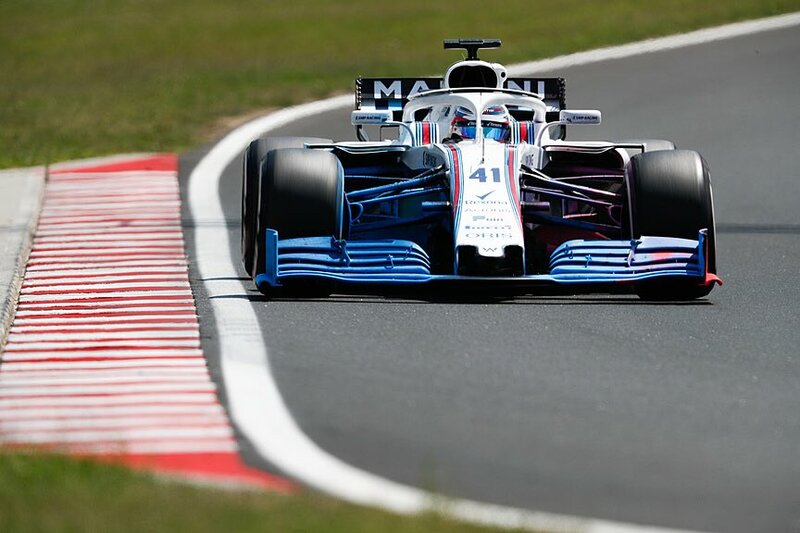 Fortunately we have seen snippets of what these regulatory changes will affect - The 2019 regulatory shakeup, the main one being a change in how the design of the front wing will be governed, altering the design concept quite significantly. 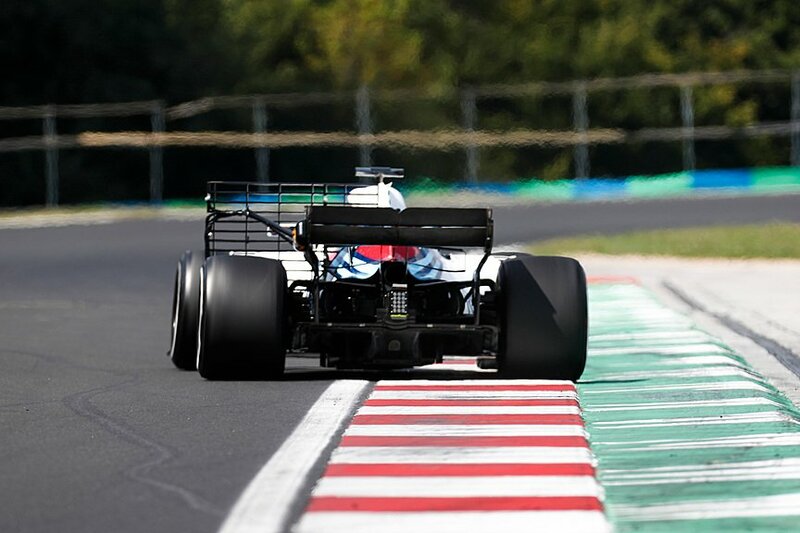 The intent of these particular changes are to limit the outwash potential of the wing in order that the cars overall wake profile be altered. The hope here is that by containing the wake envelope it'll make it easier for the trailing car to live in the turbulence behind. From the limited information available it would appear that the wing will be wider, potentially taller, have a narrower box region in which the endplate can occupy and have only five flapped elements that cannot overlap one another, meaning the various cascade elements (highlighted in red) cannot sit atop the wing either. 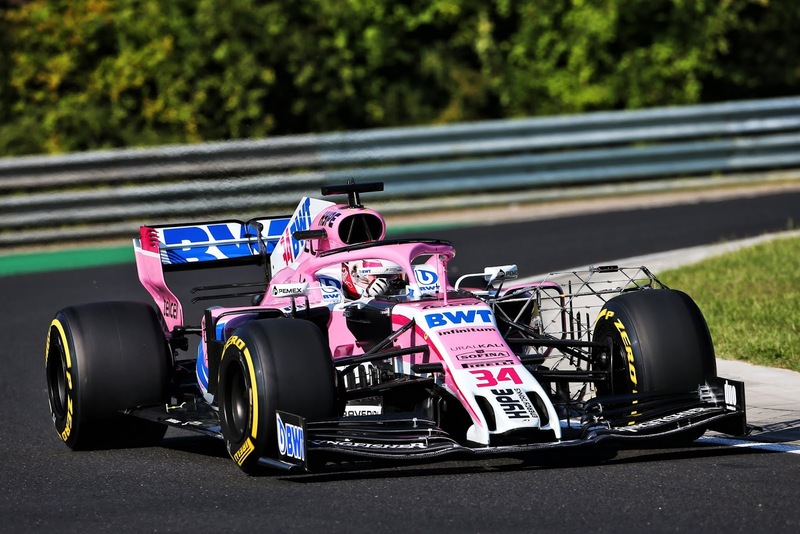 The latest in-season test, in Hungary, has seen some of the teams make a concerted effort to test some 2019 style designs. As Force India (main image) and Williams trial the much less complex front wings. Williams will certainly be keen to study the effects of the new regulations having just seen the upswing in performance and stability that a new front wing design has afforded them (They ran a new front wing design for the first time in Germany, which featured less complexity). They mounted a large kiel probe array behind the front left wheel to assess how flow was disturbed downstream. 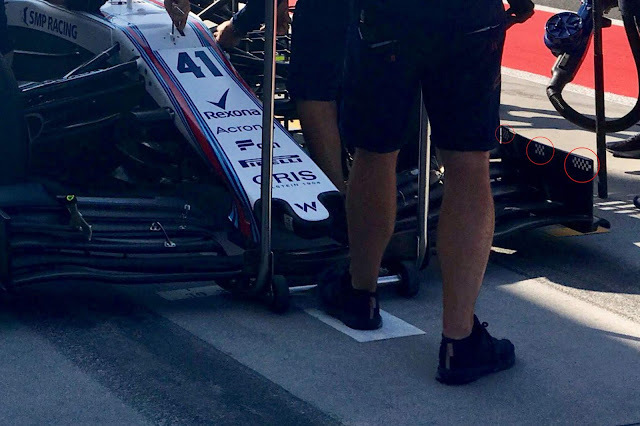 They placed chequered stickers on the endplates which can be filmed with a hi-speed camera to detect how the wing performs under load. 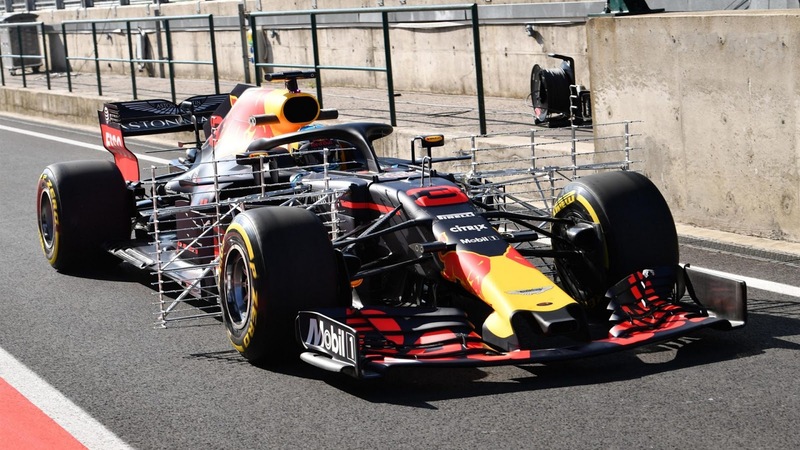 They also plastered the front wing (and some of the surrounding suspension elements, less complex front brake duct etc) in flo-viz to get a read on how they all performed, aerodynamically, with one another. 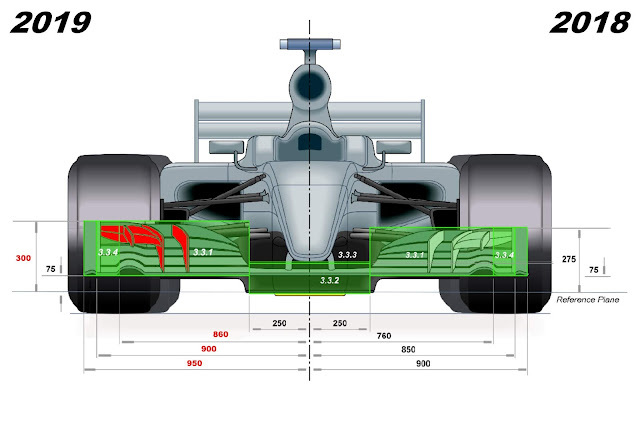 Love the comparison schematic and the overall info. Thank you very much.